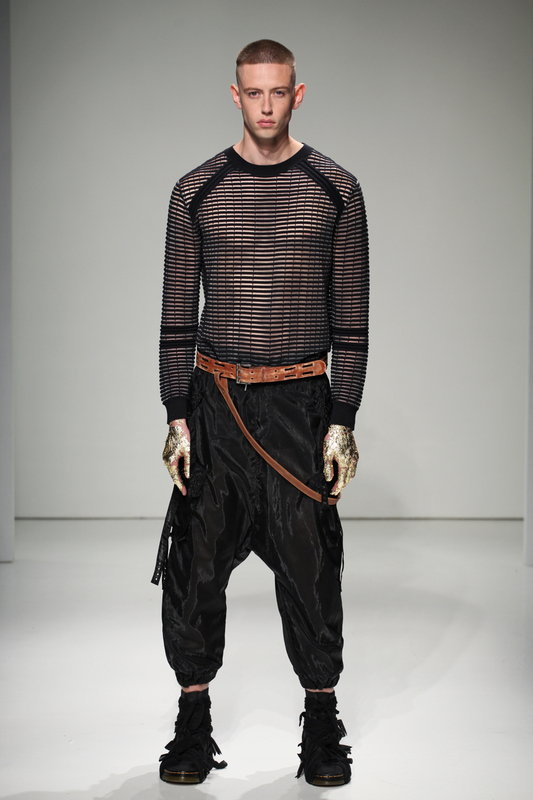 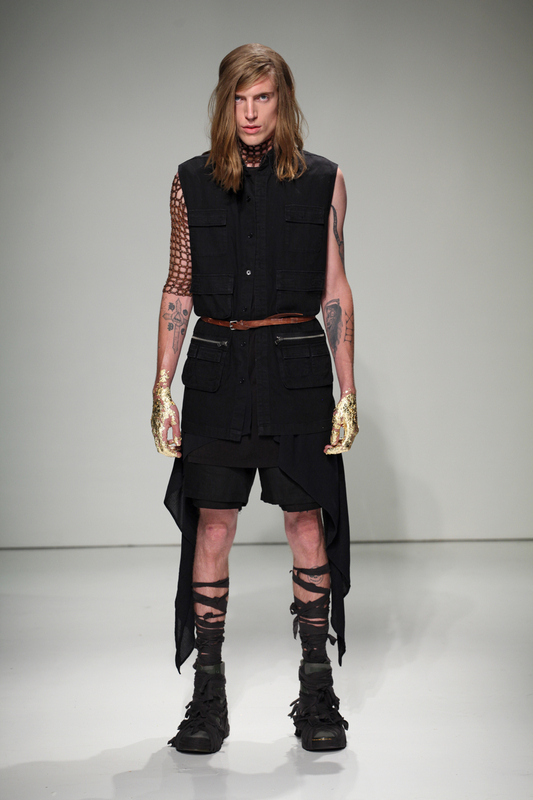 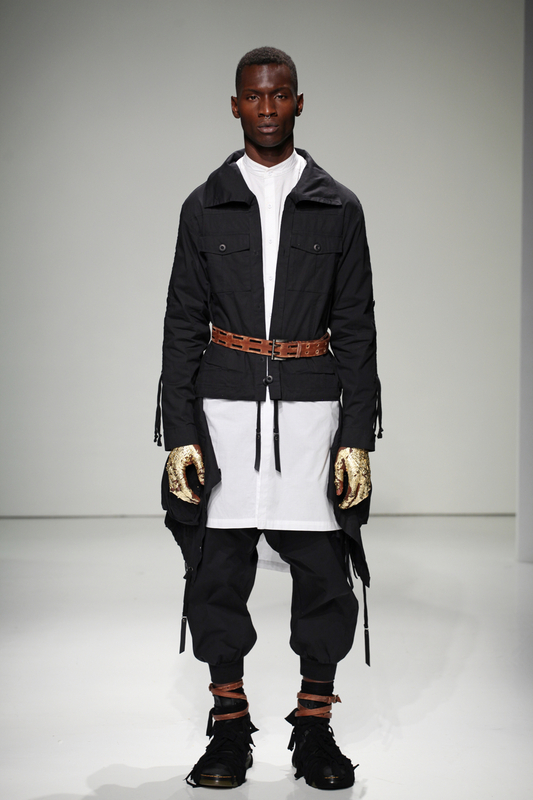 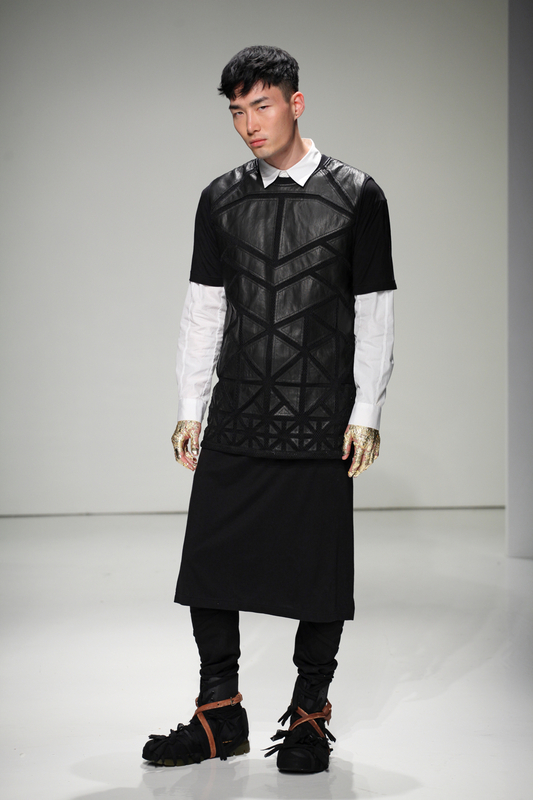 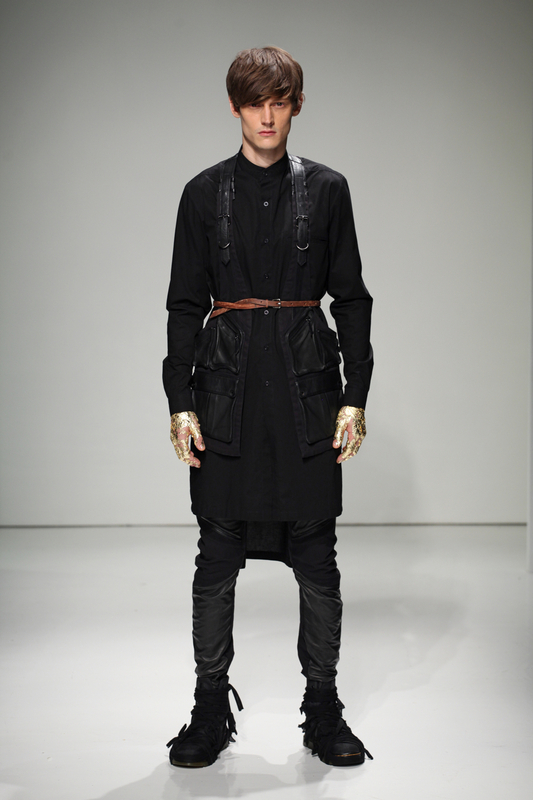 Previewing a concise segment of its spring-summer 2016 menswear collection, Skingraft hosted a presentation during New York Fashion Week. 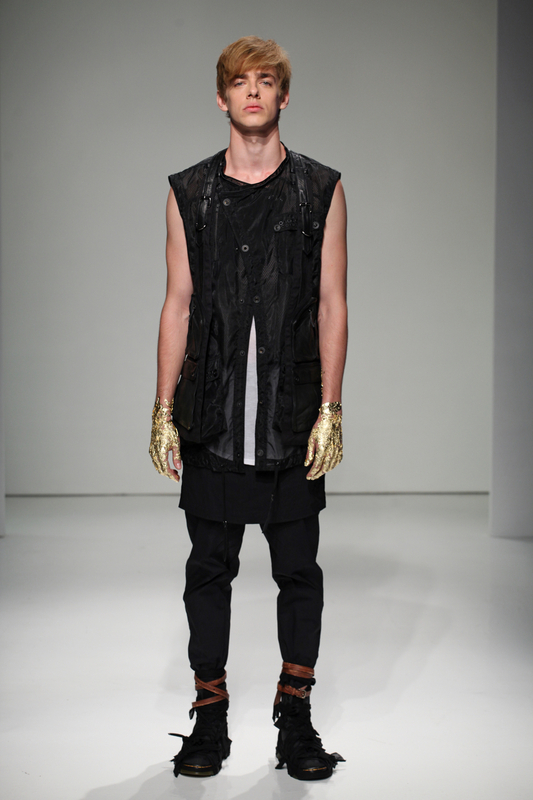 The fashion-forward label offered up a black outing that embraced elongated silhouettes. 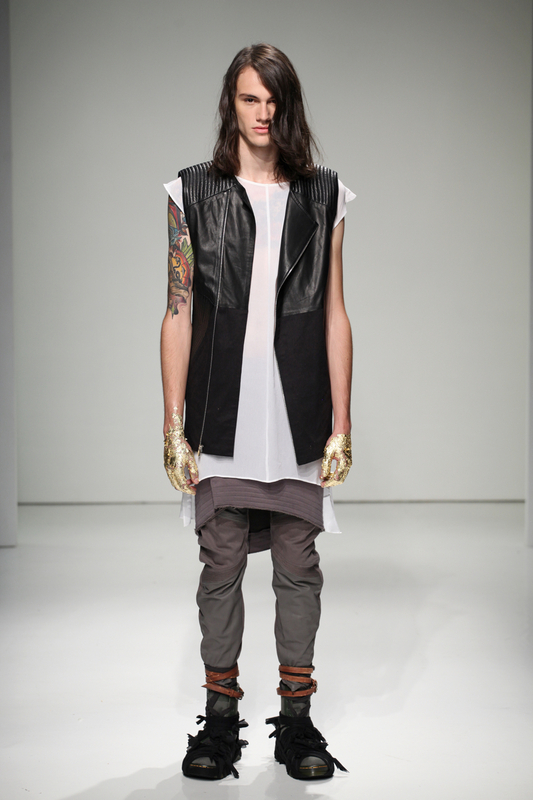 Layering lightweight separates, the lineup featured detailed vests, leather shirting, mandarin collar tops, stacked trousers and more.